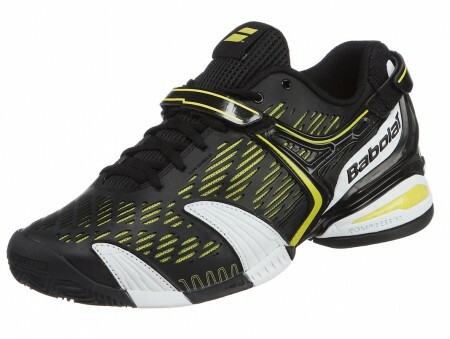 Andy Roddick's shoe of choice, the Propulse 4 is an extraordinarily dynamic shoe. Perfect for the most aggressive player looking for exceptional support, stability, comfort, and durability. This fourth version of the glorious Propulse is even more stable and offers a new explosive look. Aggressive footwork knows no bounds with greater responsiveness and a power boost on every step with Side 2 Side technology. The Foot Belt support system locks the player's foot securely from the heel through the midfoot for improve the foot-shoe connection. The Cell Shield material increases upper durability without sacrificing comfort. With a glove like fit and a responsive ride, this one has a firm footing in the elite tier of performance shoe. The Michelin developed outsole ideal for clay court surfaces. Upper : Lightweight Cell Shield upper made with cellular materials for excellent durability and comfort. Mesh underlay for ventilation. Denser Cell Shield in high wear areas for improved durability. 3-point support system with the Foot Belt technology. Midsole : Compression molded EVA for lasting impact protection. Lateral Stability System: an innovative structure that incorporates the midfoot shank and the counters at the heel allow an even distribution of the pressure exerted by the back strap, providing strong heel support, vertical stability and lateral support. Side 2 Side Technology: dynamic PU foam in the midsole for a better response and energy return. 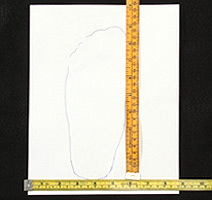 Insole : Ortholite comfort foam insole for support and comfort. Outsole: A herringbone tread pattern using a rubber compound designed to give traction on clay court surfaces.